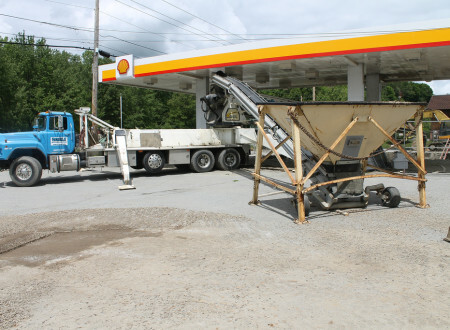 Telebelt’s TB105 outreach overcomes adverse terrain to place materials exactly where needed, making wheelbarrows and skid-steer loaders unnecessary. 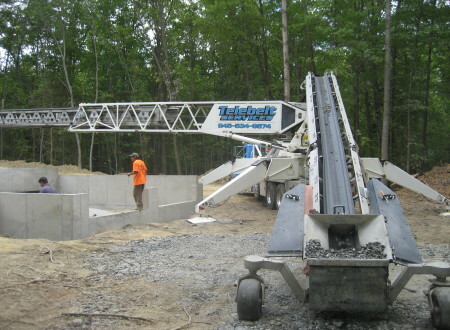 The unit easily clears obstacles-weather a wooded lot, muddy site or other extreme landscapes. 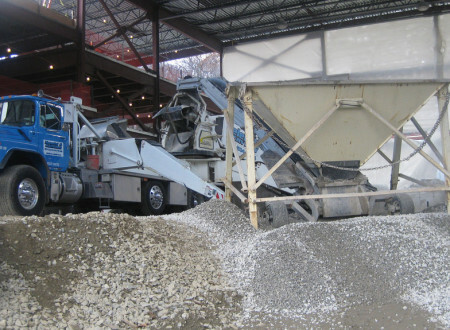 Telebelt’s TB105 unit can handle many materials which include concrete, rock/stone, pea gravel, bark, sand, etc. 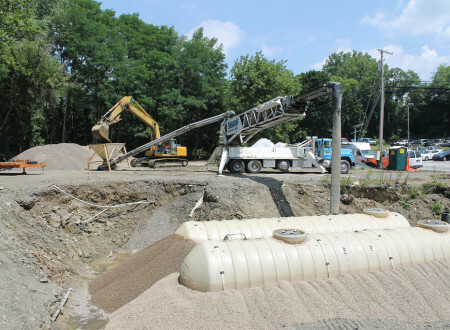 In just ONE setup, place stone, then sand, and finally concrete to finish the job efficiently. The low 16’0″ unfolding and operating height allows for full boom utilization under low clearances, making conveyors the perfect choice for warehouse work. Telebelt’s TB105 is perfect for mat pours. 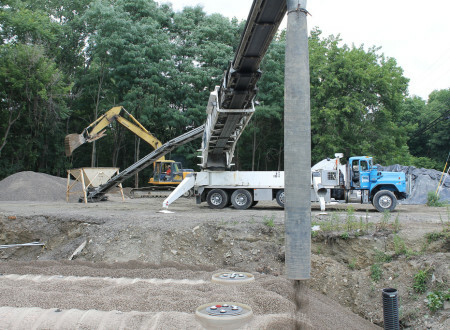 It allows mixers to maintain a distance of 110 ft. from the point of placement. 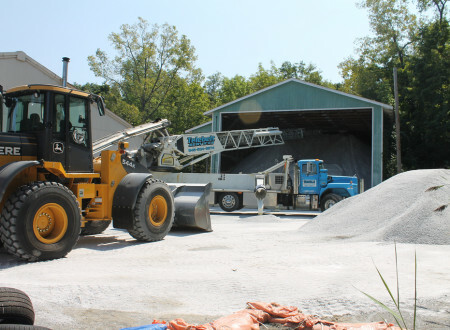 Typical 9 cubic yard loads can be discharged in less than four minutes. 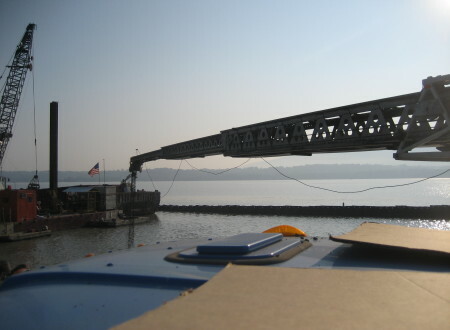 Bridge pours are no problem for the TB 105 because of its wide range of motion. 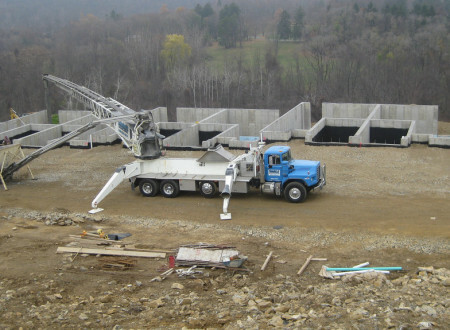 During pours there is not significant air loss in concrete mixture with a belt conveyor and also no separation of concrete. 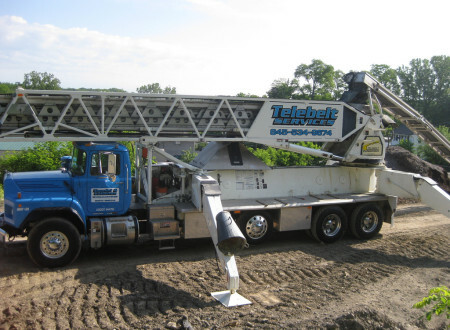 Telebelt’s TB105 can complete wall pours from one convenient setup location, keeping ready-mix trucks on solid ground at the curb. 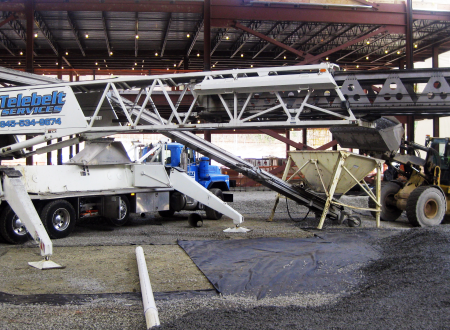 The unit’s high volume output places concrete fast. 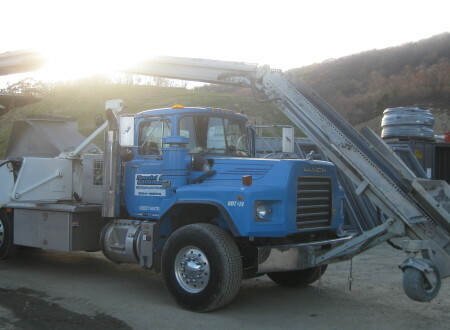 The Telebelt can discharge up to 360 cy/hr which equals about 40 9cy mixer loads. Quick tear-down and setup allows more pours in a day. 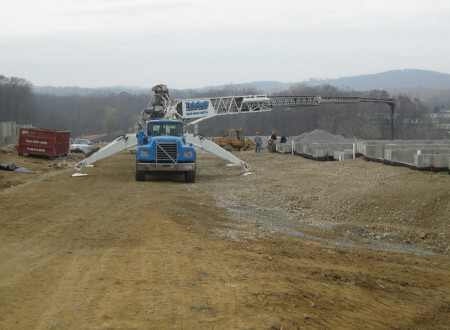 The 4 section telescopic boom operation makes the unit lightweight while keeping its high strength.